It is early October and around here that means Fall bulb planting. Just like last year, where I planted 30 tulip bulbs and some Allium bulbs, I'm planning on sticking both in the ground this year although there are a few differences. First, I'm giving more consideration to the 'where' these tulips are going. And second: these are 'fringed tulips', which is kind of cool, right? 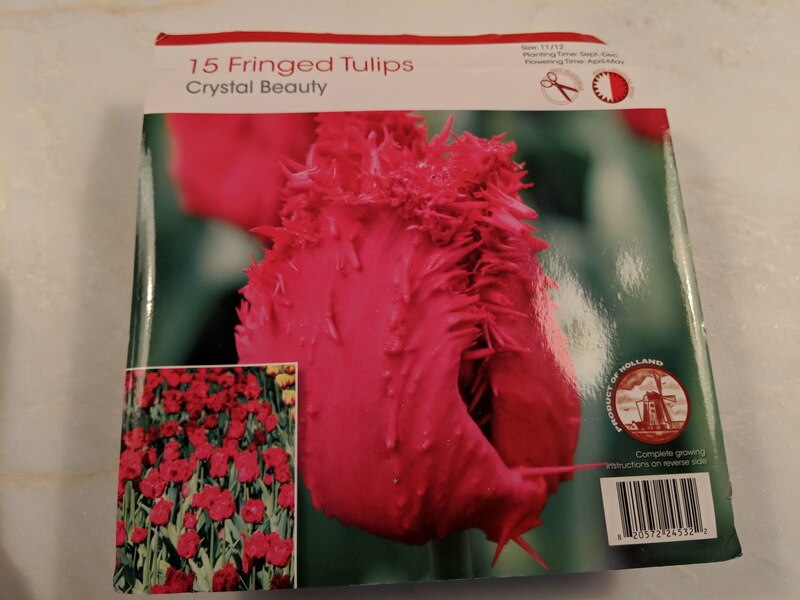 Fringed Tulips have flower petals that are edged with finely cut fringes that remind us of fine quartz crystals or frost on window panes. If you're seeking a beautiful novelty bedding plant, you've found it. Last year, I planted the tulips along the fenceline in the back and after seeing them come up this season, I'm not happy with their location and think that I'm likely to dig them up and move them somewhere else. I'm also thinking that they might find a good home in the front yard, between the boxwoods and the hydrangeas where they can put on a Spring-time show? You can see in the photo below that I bought just 15 bulbs, but according to this piece from Longfield Gardens, it is best to plant in larger masses. 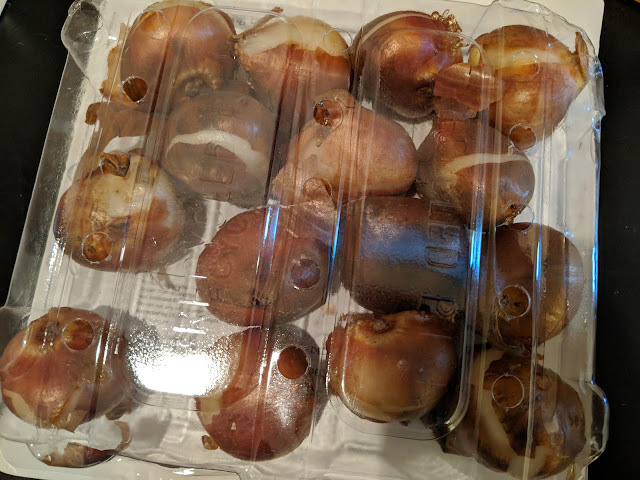 I picked these bulbs up at Menards, so the next time I'm there, I'll see if they have another box of these and plant 30 of them - knowing that some of them won't make it. I'm going to get these in the ground this week, and when I do, I'll post photos of their location so I can track it in the [garden diary].